Apple on Friday launched an Apple Watch Guided Tours webpage, dedicating space for virtual tutorials that show users how they can expect to interact with various device hardware and software features come April 24. 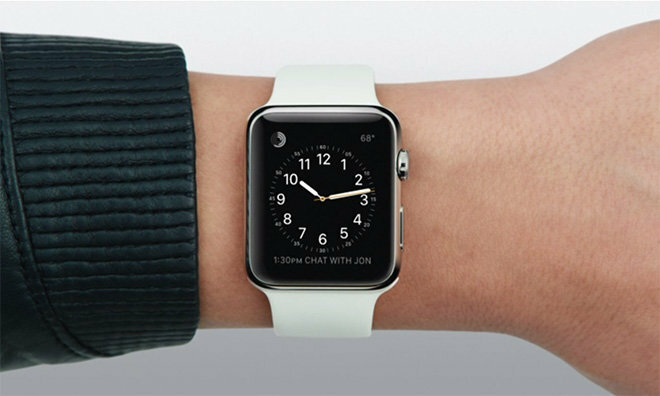 The new dedicated webpage uses video demonstrations to give prospective buyers a quick primer on tentpole Apple Watch functions. Currently, the mini-site features four videos: a general overview Messages, Faces and Digital Touch. Clips explaining specific features run between one and two minutes long, while the broader introductory teaser is nearly five minutes long. For example, the Messages overview demonstrates how a user employs touch gestures, wrist movement, Digital Crown spins and voice input to dismiss, reply or send text-based communications. Glances, email, Quickboard machine-generated responses and animated emojis are also covered in the tour. Related to Messages, Apple's Digital Touch video discusses how Apple Watch will provide new methods of communicating with friends. Pressing the side button just below the Digital Crown brings up a radial menu of friends from anywhere in the operating system. From there, users can choose to make a call, send a text or communicate via Digital Touch, the latter of which transmits drawings, haptic taps and even heart rate readings translated into haptic pulses. Apple says messaging options are contextual, meaning the option to send a Digital Touch message will only appear when a friend is wearing an Apple Watch. Faces takes a close look at how users can pick and customize watch faces using swipes, taps and the Digital Crown. A number of variations are mentioned, including so-called "complications" inspired by traditional watches. These widget-like indicators display data like weather conditions, calendar events, moon phases and more. Tapping on a piece of information opens the full app. Apple also lists a number of clips as "coming soon" —phone calls, Siri, Maps, Music, Apple Pay, Activity and Workout —offering a peek at what customers can look forward to in the days leading up to Apple Watch's debut. The launch of Apple Watch Guided Tours came just hours after Apple announced preorders for the device are scheduled to start on April 10 at at 12:01 a.m. Pacific.